'Kept me guessing and re-guessing all the way to its inexorable conclusion' Ruth Ware, Sunday Times bestselling author of The Woman in Cabin 10. `Superb and subtle psychological suspense, and a compelling mystery, too . . . I thought I knew who did it, but I was wrong-four times' Lee Child `This robust, old-fashioned gothic mystery has everything you're looking for: a creepy old house, a tenant with a secret history, and even a few ghosts. 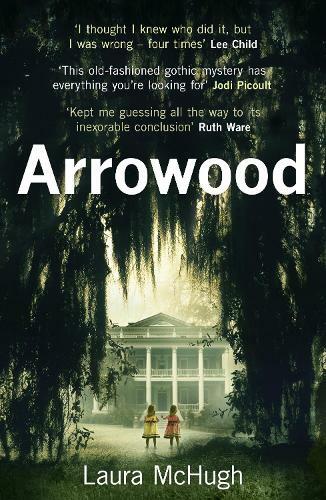 Laura McHugh's novel sits at the intersection of memory and history, astutely asking whether we carry the past or it carries us'Jodi Picoult Arrowood is the grandest of historical houses lining the Mississippi. It has its own stories and ghostly presence: it's where two small twin girls were abducted ten years ago... Now, Arden has returned to her childhood home determined to establish what really happened to her sisters that traumatic summer. But the house and the surrounding town hold their secrets close - and the truth, when Arden finds it, is more devastating than she ever could have imagined. Family lies, buried secrets and a terrifying truth lie at the heart of this brilliant and haunting crime novel.